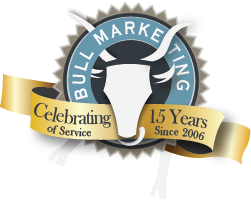 Services | Bull Marketing Inc. Services - Bull Marketing Inc. Grab everyone’s attention at the next big event with Bull Marketing Event Graphics. We can completely design your visual message from the ground up, creating the perfect setting for the occasion. Solutions include; banners, displays, marketing collateral, business cards, signs, video presentations, slide-deck production, email campaigns, web marketing and more.